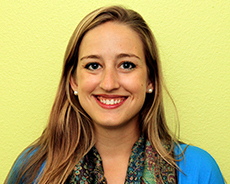 Taylor has several years of marketing and fundraising experience with various human service nonprofits. Prior to her Advancement roles at CHC, Taylor worked in development for a homeless services agency in New York City and an adoption advocacy firm in Washington, DC. From a young age Taylor knew she wanted to work in service and on behalf of children, and families, and has found her home at CHC. Taylor has experience in many areas of fundraising and marketing, and enjoys working to connect people to causes and resources that could change their lives. Originally from Washington, DC, Taylor is a bona fide transplant. During her free time she loves to see live music and explore the San Francisco Bay.